We all would absolutely love in being young forever, don’t we? After all, aging can be quite a chore – especially when the wrinkles start to appear, and your face becomes all wizened – not to mention you seem to lose all the strength of your youth, and vigor for life. Well, we are all pretty much happy in celebrating birthdays, as a year older will hopefully mean that one is a year wiser, too. With that, birthday celebrations are always special – however, you might want to prolong a certain birthday for far longer than normal, and that can be done with the £9.99 Never Ending Birthday Card. 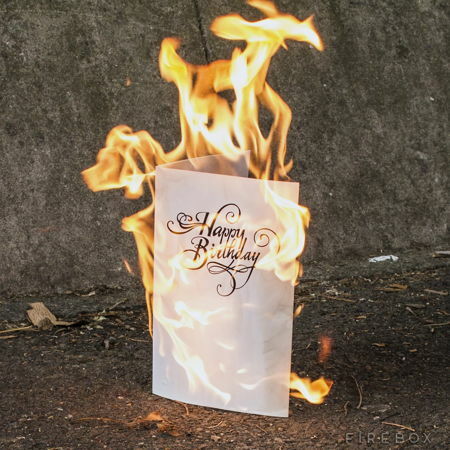 This is a musical birthday card that will not stop playing at all, and it cannot be stopped via smashing, tearing, submerging in water and being set fire to – just like the Hulk! All of it is made possible thanks to a protective seal that ensures your prank won’t backfire into your own face.